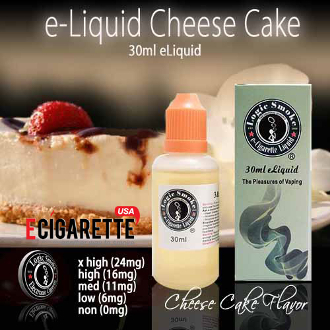 Logic Smoke Cheesecake e liquid is a classic cheesecake flavor, sure to awaken your taste buds with its sweetness. It's creamy and smooth cheesecake flavor will remind you of the delectable desert that is America's favorite. Try it by itself or add any of our tasty fruit flavored e-liquids for a wonderful vaping experience. With the best e cigarette liquid blend of an 80/20 PG/VG mix (propylene glycol and vegetable glycerin: organic, food grade preservative compounds), you'll get the best flavor concentration along with the perfect amount of vapor to satisfy your vaping needs.